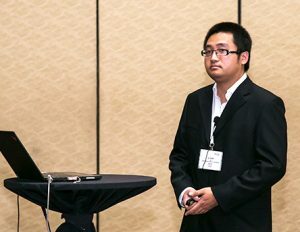 Haodong Liu, a postdoc research fellow at UC San Diego, is the award winner of the Battery Division Postdoctoral Associate Research Award Sponsored by MTI Corporation and the Jiang Family Foundation for his work on “Stable Li Metal Anode through Designed Solution Chemistry and Electrode Architecture.” Liu was presented with the award at AiMES 2018 in Cancun, Mexico. Liu says being recognized for his work has been an exciting experience, bringing recognition to his name and research within the battery field. However, it has also meant something more to him in particular. At each ECS biannual meeting, some of our technical symposia put aside funding to recognize outstanding posters and presentations. This is a great opportunity to celebrate amazing researchers and students. 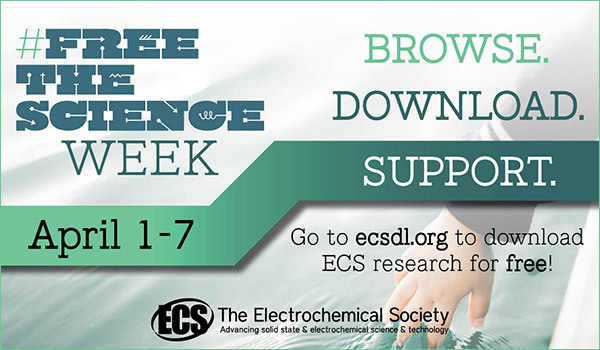 ECS established this program to recognize individuals engaged in the vast field of electrochemistry and solid state science. 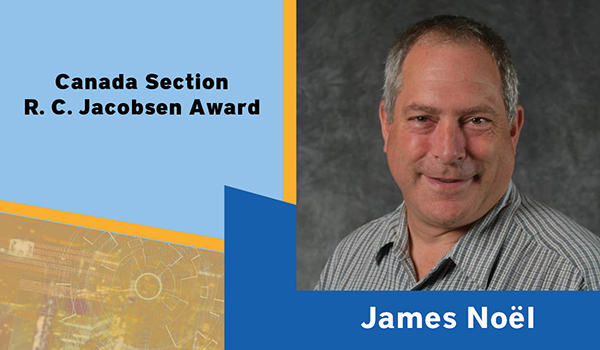 This program provides recognition and encouragement to continue outstanding research in the field. Recipients are selected based on specific award/recipient criteria. At AiMES 2018 in Cancun, Mexico, there were more than 80 students posters submitted to the Z01 General Student Poster Session. The general student poster session was held on Tuesday night, October 2, 2018. This session draws a number of participants at each meeting as awards are given to the best posters. Awards recognize the student’s knowledge and understanding of their research; and the research’s relationship to fields of interest to ECS. 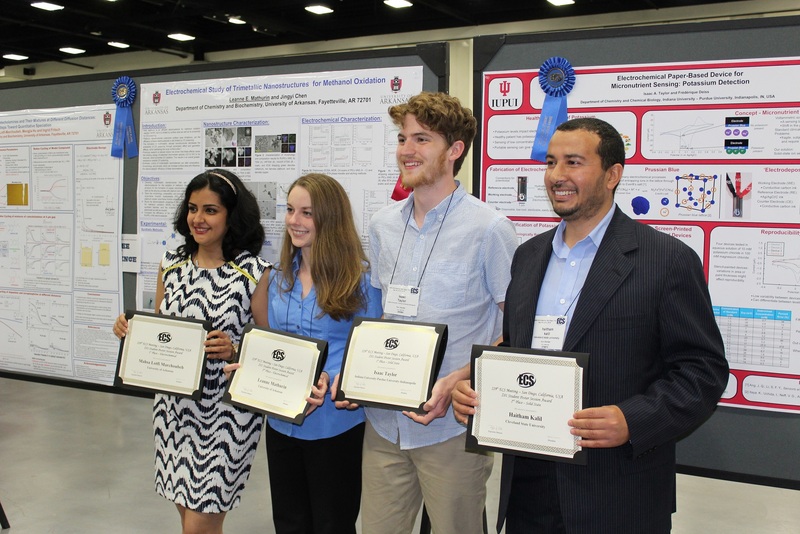 Congratulations to the PRiME 2016 Student Poster Session winners! It is with great pride that ECS honors the winners of the General Student Poster Session Awards for the PRiME 2016 meeting in Honolulu, Hawaii. 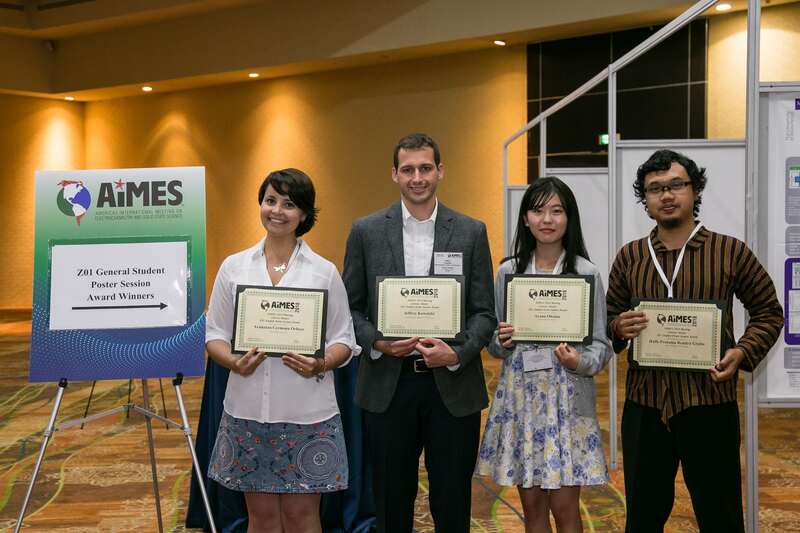 In following with the meeting tradition, awards recognized the top poster presentations in electrochemical and solid state categories. 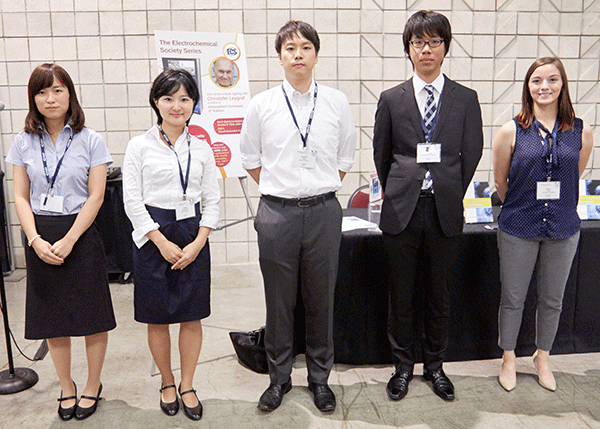 ECS established the General Student Poster Session Awards in 1993 to acknowledge the eminence of its students’ work. The winners exhibit a profound understanding of their research topic and its relation to fields of interest to ECS. 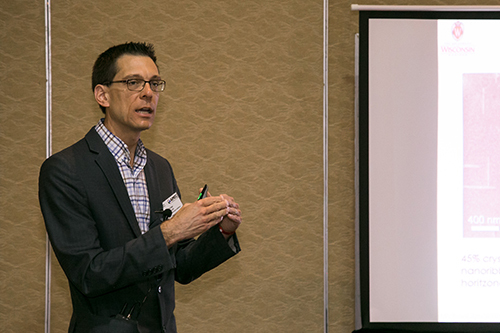 In order to be eligible for the General Student Poster Session Awards, students must submit their abstracts to the Z01 General Society Student Poster Session symposium and present their posters at the biannual meeting. First and second place winners receive a certificate in addition to a cash award. It is with great pride that ECS honors the winners of the General Student Poster Session Awards for the 229th ECS Meeting in San Diego, California. In following with biannual ECS meeting tradition, awards recognized the top two poster presentations in electrochemical and solid state categories.